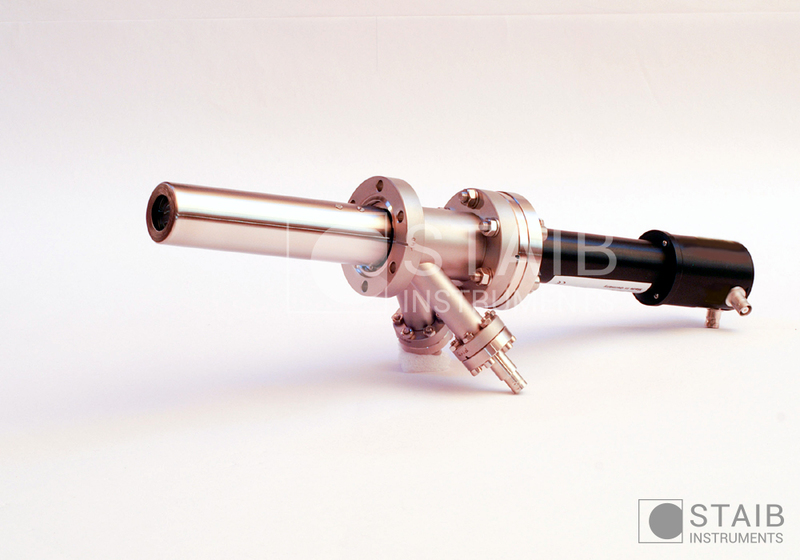 In addition, STAIB Instruments offers a variety of useful accessories which can be ordered with the electron gun. Spare filament delivered in a sealed container for customer installation. Directions for filament exchange are provided. Spare filament already mounted, and pre-aligned in spare firing unit. The kit contains one spare filament and tools for standard maintenance. The major functions of the power supply can be easily tested using the diagnostic box connected to the diagnostic plug on the rear of the power supply. Available in different sizes, the screens are designed to reach high spatial resolution and best contrast. A protective aluminum coating ensures good electric contact, and blocks stray light from inside the vacuum chamber. Specifications are subject to changes without notice. Not all parameters can be reached simultaneously. Pictures / diagrams for reference only. 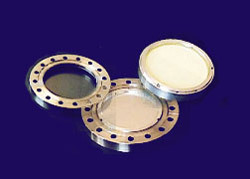 STAIB Instruments offers Faraday Cups for UHV applications. 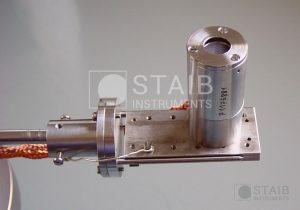 The beam current can be measured most preciseley with a UHV farady cup mounted next to or on the side of the standard STAIB Instruments sample holder. 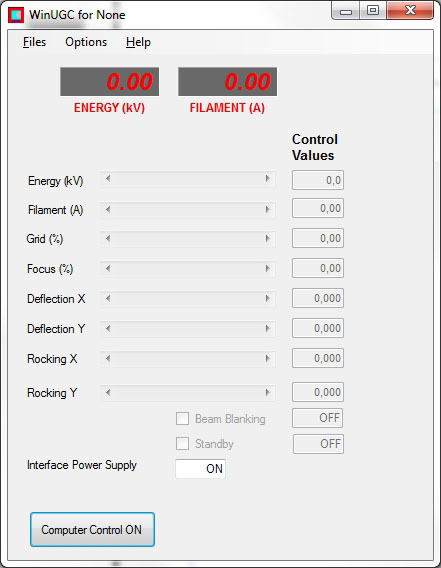 Sample current in the range of 0.1 nA to 100 µA can be measured using the low noise current amplifier. It can be used for electrons and ione with variable potential bias capability. 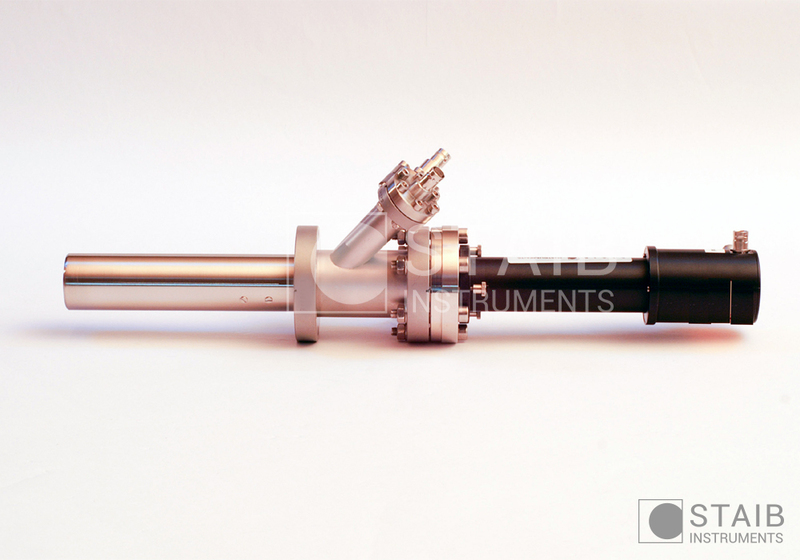 Scintillator and channeltron type SEDs, for sample imaging when used with any scanning electron source.